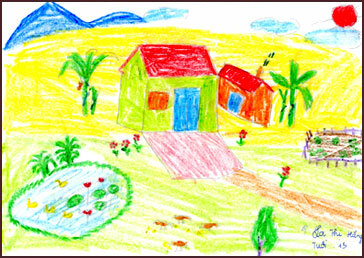 I asked the Street & Working children and the Lotus Youth Group to draw “their home” . Their ages range from 8-14years old. As you may notice many of the children drew “boats”. This is because many of the Street & Working children live on boats.